Bonnie Beaver, DVM, DACVB, is graduate of the University of Minnesota College of Veterinary Medicine who lives in College Station, Texas. Dr. Beaver is a professor in the Department of Small Animal Clinical Sciences at Texas A&M University. Dr. Beaver is internag of veterinary medicine for the public media. In addition, she has authored over 150 scientific articles and has nine published books. Dr. Beaver is a member of numerous local, state, and national professional organizations and has served as president of the American College of Veterinary Behaviorists, the American College of Animal Welfare, the Texas Veterinary Medical Association, and the American Veterinary Medical Association. Suzanne Brown, DVM, is a graduate of Texas A&M College of Veterinary Medicine who lives in Belton, Texas. Dr. Brown practices at Belton Small Animal Clinic and Central Texas Mobile Veterinary Ultrasound, a mobile ultrasound business that serves the Waco, Temple and Killeen areas. Additionally, Dr. Brown is the president of the Animal Emergency Center of Temple-Belton. She has a special interest in diagnostic ultrasound, cardiology and internal medicine. In her free time, Dr. Brown enjoys reading, international travel and spending time with her family. Cindy Carter, DVM, is a graduate of Texas A&M College of Veterinary Medicine who lives in Austin, Texas. Dr. Carter currently practices at Austin Corner Vet. She also does veterinary relief work for over 16 hospitals in and around the Austin area. In her free time, Dr. Carter enjoys outdoor activities, yoga and volunteer work. Jeff Chalkey, DVM, is a graduate of Texas A&M College of Veterinary Medicine who lives in Houston, Texas. Dr. Chalkley practices at Westbury Animal Hospital where his favorite aspect of his work is helping clients. In his free time, he enjoys kayaking. Jessica Colborn, DVM, is a graduate of Texas A&M College of Veterinary Medicine who lives in Magnolia, Texas. Dr. Colborn practices as a relief and emergency veterinarian. She is particularly interested in dermatology, soft tissue surgery and emergency and critical care. Dr. Colborn also enjoys working with senior pets and looking for ways to improve their quality of life. She is a member of the American Heartworm Society and the Veterinary Emergency and Critical Care Society. In her free time, Dr. Colborn enjoys swimming, hiking, camping and gardening with her husband and daughter. Their family also includes a standard poodle, Phoebe, and Simon, a boxer puppy. Jason Collins, DVM, is a graduate of Mississippi State College of Veterinary Medicine who lives in Ft. Worth, Texas. Dr. Collins practices at VCA Lakeside Animal Hospital where his favorite aspects of veterinary medicine are surgery and dermatology. 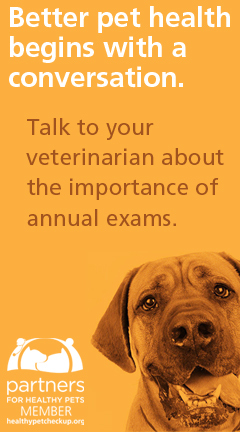 Dr. Collins is a member of the American Veterinary Medical Association and is the treasurer for the Tarrant County Veterinary Medical Association. In his free time, he enjoys hiking, reading and spending time with his family. Wendy Dearixon, DVM, is a graduate of Texas A&M College of Veterinary Medicine who lives in Dallas, Texas. Dr. Dearixon practices at Vickery Place Animal Hospital where she has a special interest in soft tissue surgery, ophthalmology and diagnostic ultrasonography. In her free time, Dr. Dearixon enjoys horseback riding, jogging and spending time outdoors with her husband and three children. Dustin Dees, DVM, is a graduate of Oklahoma State University College of Veterinary Medicine who lives in Austin, Texas. He practices at Eye Care for Animals where his specialty is ophthalmology and ocular research. In his free time, Dr. Dees enjoys hiking, gardening and playing the guitar. Brandon Dominguez, DVM, is a graduate of Texas A&M College of Veterinary Medicine and lives in College Station, Texas. Dr. Dominguez works for the college as part of Veterinary Large Animal Clinical Sciences, the Veterinary Medical Teaching Hospital and the College of Veterinary Medicine & Biomedical Sciences. He enjoys broadening individual animal problems to populations, incorporating aspects of environmental and human health. In his free time, Dr. Dominguez enjoys spending time with his family. Carol Eddy, DVM, is a graduate of University of Illinois College of Veterinary Medicine who lives in Corinth, Texas. Dr. Eddy practices at Corinth Veterinary Clinic. Of her work, she says, “I love general practice because I enjoy seeing my patients from puppies and kittens all the way into their senior years. I feel privileged that clients allow my staff and me to be a part of their lives!” In her free time, Dr. Eddy enjoys running, cycling, watching her daughter play soccer, and spending time with her husband, daughter and their dog, Sally. Elizabeth Fowler, DVM, is a graduate of Texas A&M College of Veterinary Medicine who lives in New Braunfels, Texas. Dr. Fowler practices at County Line Veterinary Clinic. She practices small animal medicine and particularly enjoys internal medicine. In her free time, Dr. Fowler enjoys hiking, cooking and reading. Tam Garland, DVM, PhD, DABVT, is a graduate of Texas A&M Veterinary Medical Diagnostic Laboratory who lives in College Station, Texas. Dr. Garland practices at Texas A&M Veterinary Medical Diagnostic Laboratory where she enjoys being a “disease detective” and helping her clients and those who call the lab. Emily Gaugh, DVM, is a graduate of Kansas State College of Veterinary Medicine who lives in Houston, Texas. Dr. Gaugh practices at Westbury Animal Hospital. She has a special interest in critical care and soft tissue surgery. In her free time, Dr. Gaugh enjoys spending time outdoors with her dog. David Heflin, DVM works at Mission Veterinary Hospital in Mission, Texas. Dr. Heflin lives in McAllen, Texas. He is especially interested in the use of ultrasound in veterinary medicine. In his free time, Dr. Heflin enjoys fishing, hiking, golfing, skiing and anything that involves sunshine. Jennifer Hennessey, DVM, CVJ, is a graduate of Texas A&M College of Veterinary Medicine who lives in Cypress, Texas. Dr. Hennessey practices at Animal ER of Northwest Houston, where she is the practice owner. She has extensive experience in emergency and critical care, with a special interest in toxicology, trauma stabilization and shock management. In her free time, Dr. Hennessey is a bodybuilding competitor and fitness model. She is also a certified veterinary journalist, and makes regular appearances on local news programs. “I enjoy sharing information about animal medical injury prevention via journalism to help Texas pet families keep their furry friends safe,” said Dr. Hennessey. Julaine Hunter, DVM, is a graduate of the University of Minnesota College of Veterinary Medicine and lives in Frisco, Texas. Dr. Hunter is the co-owner and co-founder of LazyPaw Animal Hospitals, as well as the Chief Medical Officer. Dr. Hunter performs primarily elective and emergency soft tissue surgery, providing her canine and feline patients preventative wellness care. She particularly enjoys the challenges presented by small animal internal medicine cases. Of her practice, Dr. Hunter states, “We educate and involve our veterinary clients in the care of their pets. This is to assure that they can provide the ideal home environment to maintain their pets’ health as well as to guarantee that at-home care requirements are understood and are attainable.” In her free time, she enjoys spending time with her family, dabbling in photography and volunteering at a local equine therapeutic riding center. Michael Joyner, DVM, is a graduate of the University of Missouri College of Veterinary Medicine who lives in Killeen, Texas. Dr. Joyner practices at East Lake Veterinary Center where he has a special interest in exotic and pocket pet species, as well as laser therapy and surgery. In his free time, he enjoys gardening, hiking, swimming and horseback riding. Laura Lason, DVM, is a graduate of Oklahoma State College of Veterinary Medicine who lives in Flower Mound, Texas. Dr. Lason practices at House Paws Veterinary House Calls, a mobile practice. “My favorite part of practice is treating the pets in their own home, and discussing training to ensure happy pets and families,” she said. In her free time, Dr. Lason enjoys scrapbooking, going to her book club, gardening and volunteering for her children’s schools. She includes a golden retriever, Schooner, and a rescue dachshund, Decker, as a part of her family. Rosemary Lindsey, DVM is a graduate of Texas A&M College of Veterinary Medicine and lives in Fort Worth, Texas. Dr. Lindsey practices at La Paloma Small Animal Hospital and Chuck Silox Animal Care and Control, and her specialty is feline medicine. In her free time, Dr. Lindsey enjoys reading, playing video games, needlework and playing with her grandsons. Jodi Long, DVM, is a graduate of Texas A&M College of Veterinary Medicine who lives in Angleton, Texas. She has a master of agriculture from Stephen F. Austin State University. Dr. Long is a partner veterinarian at Bay Glen Animal Hospital in Houston, Texas. She is a member of AVMA, TVMA and Harris County VMA, and is the current chairman of the TVMA Ethics & Grievance Committee. Michael McLaughlin, DVM, is a graduate of University of Illinois College of Veterinary Medicine who lives in a northeast suburb of Dallas. Dr. McLaughlin practices at Panther Park Animal Hospital in Plano, Texas. His favorite part of his work is seeing when a sick pet responds successfully to treatment. In his free time, Dr. McLaughlin enjoys writing articles, collecting movies and doing yard work. Christine New, DVM graduated from Texas A&M College of Veterinary Medicine and practices at Hillside Veterinary Clinic in Dallas. Dr. New is a member of Veterinary Emergency & Critical Care Society, Texas Veterinary Medical Association, American Veterinary Medical Association and Collin County Veterinary Medical Association. Dr. New enjoys all areas of small animal medicine, particularly emergency medicine. She is also particularly interested in soft tissue surgery, toxicology and pain management. In her free time, Dr. New enjoys spending time with her family and exploring Dallas’ children venues with her husband, son and daughter. She also enjoys cooking, crafting and relaxing with a good mystery novel on the couch with her two last miniature dachshunds, Oscar and Jack. Debra Nossaman, DVM, is a graduate of Colorado State University College of Veterinary Medicine and lives in North Richland Hills, Texas. Dr. Nossaman is a Fellow in the Academy of Veterinary Dentistry and a Diplomate of the American Veterinary Dental College. She currently works at Dallas Veterinary Dentistry & Oral Surgery located in Southlake, Texas. Dr. Nossaman’s specialty is dentistry and oral surgery. Of her specialty, Dr. Nossaman says, “My work in this field is very rewarding as it relieves discomfort and provides quality of life for so many pets who suffer in silence with oral pain.” In her free time, Dr. Nossaman enjoys caring for her four cats, two dogs and two horses, dressage, running and playing with her grandchildren. Joseph Pamplin, DVM is a graduate of Texas A&M College of Veterinary Medicine who lives in San Antonio, Texas. Dr. Pamplin works at Pleasanton Road Animal Hospital. Dr. Pamplin is a general practitioner with special interest in orthopedics and exotic species. In his free time, Dr. Pamplin enjoys shooting competitions and spending time with his kids. Todd Phillips, DVM, is a graduate of Texas A&M College of Veterinary Medicine who lives in San Antonio, Texas. Dr. Phillips practices at Westridge Pet Hospital in Schertz, Texas. He enjoys the problem solving of medical cases, dermatology and exotic animal medicine. Dr. Phillips also enjoys furthering the human-animal bond by helping owners proactively keep their pets healthy. In his free time, he enjoys fishing, gardening, reading, going to films, shows, and exhibits and spending time with family. Stacy Pritt, DVM is a graduate of Washington State College of Veterinary Medicine and lives in Rowlett, Texas. Dr. Pritt currently works at the University of Texas Southwestern Medical School in Dallas. She has earned a Master of Science degree from Amberton University and a Master of Business Administration from the University of Phoenix. Dr. Pritt is a Diplomate of the American College of Animal Welfare and has a special interest in pocket pet medicine. Dr. Pritt holds several leadership positions in the AVMA and other organizations. She frequently speaks on topics related to career development. Jessica Quillivan, DVM graduated from Texas A&M University College of Veterinary Medicine and now practices veterinary medicine at Shady Brook Animal Hospital. She loves practicing veterinary medicine and enjoys that each day is different and challenging in its own way. She enjoys communicating truthfully and openly with clients to help them with their pets, as well as build a relationship. In 2013, Dr. Quillivan served as the president of the Montgomery County VMA. She is also on the board of directors for the American Animal Hospital Association (AAHA) and is on the AAHA Animal Ethics and Welfare Committee. She is also a member of her local Rotary Club and believes in service above self. Dr. Quillivan lives in Magnolia, Texas with her husband, son, three dogs, four cats and two horses. In her free time, she enjoys running, walking her dogs and dressage with her horse, Odin. She completed her first Tough Mudder last year! Mary Newell Sanders, DVM is a graduate of Texas A&M College of Veterinary Medicine and lives in Bellville, Texas. 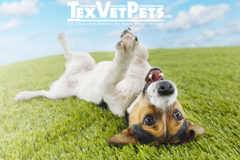 Dr. Sanders practices at Marek Veterinary Clinics in Bellville and Sealy, Texas. Her specialties are soft tissue surgery and small animal internal medicine. She and her husband have four daughters. In her free time, Dr. Sanders enjoys running, reading and participating in equestrian three-day events. Jacquelyn Schrock, DVM, is a graduate of Oklahoma State College of Veterinary Medicine who lives in Fulshear, Texas. Dr. Schrock is the Medical Director for Banfield Pet Hospital in south Houston, where she especially enjoys preventative care and internal medicine, especially when they go hand-in-hand. In her free time, Dr. Schrock dabbles in painting mixed media abstract art and running. She’s currently working toward participating in her first 10K. Dr. Schrock’s family consists of her husband, one child, one dog and two cats. Leslie Sirmons, DVM is a graduate of Texas A&M College of Veterinary Medicine and lives in McDade, Texas. Dr. Sirmons is a companion animal general practitioner and practices at Elgin Family Pet Center. Dr. Sirmons earned TVMA’s Companion Animal Practitioner of the Year Award in 2013. In her free time, Dr. Sirmons enjoys participating in triathlons, snow skiing and spending time with her family. Joshua Smith, DVM, is a graduate of St. Matthew’s University School of Veterinary Medicine who lives in Frisco, Texas. He practices at Campbell Village Veterinary Hospital in Dallas. Dr. Smith particularly enjoys the surgery, cardiology and neurology aspects of veterinary medicine. In his free time, he enjoys spending time with his family, watching Texas Rangers baseball, Aggie football and golfing. Hillary Olin Smith, DVM is a graduate of Texas A&M College of Veterinary Medicine and lives in Navasota, Texas. She works for three different practices: Hempstead Veterinary Clinic in Hempstead, Texas; Waller Veterinary Clinic in Waller, Texas; and Beard-Navasota Veterinary Hospital. Dr. Smith especially enjoys feline medicine, soft tissue surgery and all aspects of bovine practice. As a mother of young twins, she enjoys spending most of her free time with them. Dr. Smith also enjoys reading, cross-stitching and doing crossword puzzles. Tess Sykes, DVM graduated from Texas A&M College of Veterinary Medicine. 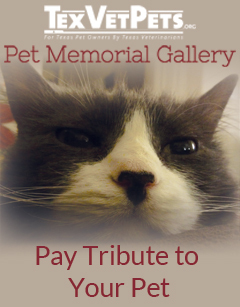 She currently lives in Cypress, Texas and practices at North Houston Veterinary Specialists. Dr. Sykes specializes in small animal medicine and is a surgery intern. She aims to pursue a career in cardiovascular research. She recently learned to play golf and is hooked! In her free time, she also enjoys spoiling her golden retriever and Greater Swiss Mountain dog. Stephanie Swanzy, DVM, is a graduate of Texas A&M College of Veterinary Medicine who lives in Austin, Texas. Dr. Swanzy practices at Anderson Mill Animal Clinic where she specializes in feline medicine. In her free time, she enjoys running, reading and cooking. Lori Teller, DVM is a graduate of Texas A&M College of Veterinary Medicine and lives in Houston, Texas. She practices at Meyerland Animal Clinic. Dr. Teller is board-certified by, and a diplomate of, the American Board of Veterinary Practitioners (ABVP) in canine and feline medicine. Additionally, Dr. Teller served as president of TVMA in 2010. She especially enjoys cytology and treating internal medicine cases, particularly gastrointestinal, liver and urinary problems. When she’s lucky enough to get some free time on her hands, Dr. Teller enjoys going to the gym, Pilates, reading and spending time with her son, friends, dogs and cats. She also enjoys traveling with her husband, where they can explore new places and cultures, and drink wine. Celeste Treadway, DVM, is a graduate of Texas A&M College of Veterinary Medicine and lives in Leander, Texas. Dr. Treadway practices at Lakeline Animal Care in Austin. In her practice, Dr. Treadway has a special interest in emergency and critical care, along with feline medicine. In her free time, she enjoys trail running and hiking, yoga, boating and other water activities, and spending time with her family. “I grew up as an Army brat and have lived in numerous different states and countries, but I am so happy to have made settled into my (hopefully) final home in the beautiful Texas Hill country!” said Dr. Treadway. Nancy Turner, DVM, is a graduate of Texas A&M College of Veterinary Medicine who lives in Dallas, Texas. Dr. Turner practices at HEAL Veterinary Hospital in Dallas. Her favorite aspects of veterinary medicine are behavior, nutrition, preventative medicine, internal medicine, client education and outreach. In her free time, Dr. Turner enjoys being with friends and family, watching and playing sports, seeing live music, traveling and reading. John Unflat, DVM is a graduate of Kansas State College of Veterinary Medicine and lives in Austin, Texas. Dr. Unflat does relief veterinary work in Austin, and also regularly practices at Barton Creek Animal Clinic and Companion Animal Hospital. His website is located at www.unflatvet.com. Dr. Unflat’s favorite aspects of veterinary medicine are performing soft tissue surgery, challenging medical cases and helping people with their new puppies and kittens. In his free time, Dr. Unflat enjoys hunting, fishing, household projects, watching a good movie, reading a good book, and spending time with his children, wife and friends. Kristen Ussery, DVM, is a graduate of Louisiana State College of Veterinary Medicine who lives in Austin, Texas. Dr. Ussery practices at Hope Animal Clinic in Marble Falls, where she has a special interest in geriatric care and internal medicine. In her free time, Dr. Ussery enjoys playing video games, yoga, horseback riding and reading. Lynsey Wagner, DVM, DACVO, is a graduate of Texas A&M College of Veterinary Medicine who lives in San Antonio, Texas. Dr. Wagner is a board-certified diplomate of the American College of Veterinary Ophthalmologists who practices at South Texas Veterinary Ophthalmology. In her free time, Dr. Wagner enjoys spending time with her husband and family, staying fit, keeping up with Aggie football, watching movies, reading and two-stepping! Karen Werner, DVM, is a graduate of University of Illinois College of Veterinary Medicine who lives in Houston, Texas. Dr. Werner practices at Meyerland Animal Clinic in Houston. She especially enjoys working on dermatology, cardiology, gastrointestinal and pain management cases. Of her work, Dr. Werner said, “I enjoy building a relationship with pets and their owners on a long-term basis.” In her free time, she enjoys gardening, traveling and needlepoint. Jamie Whittenburg, DVM, is a graduate of Kansas State College of Veterinary Medicine and completed post-graduate training at Texas A&M University. Dr. Whittenburg opened her own clinic, Kingsgate Animal Hospital, in 2013 in Lubbock, Texas. Prior to attending veterinary school, she spent years working as a veterinary technician in the Dallas/Ft. Worth Metroplex-area in both small animal and equine clinics. In her free time, Dr. Whittenburg enjoys reading, outdoor activities and spending time with friends and her adorable young daughter. Virginia Williams, DVM, is a graduate of Oklahoma State College of Veterinary Medicine who lives in Lago Vista, Texas. Dr. Williams practices at Lago Vista Animal Clinic, which she founded in 1994. Her favorite aspect of her work is developing long-term relationships with clients, their families and their pets. In her free time, Dr. Williams enjoys spending time with her family, and spending time outdoors, especially at the lake or beach. James Wright, DVM, is a graduate of Texas A&M College of Veterinary Medicine and has also earned a Master of Preventative Veterinary Medicine (MPVM) from the University of California at Davis. Dr. Wright dedicated 22 years of service in the US Air Force, in which he gained experience with disaster preparedness, food safety and communicable disease epidemiology. Dr. Wright has also worked as a regional Meat Safety Assurance Veterinary for the Department of State Health Services and a zoonosis veterinarian in the department’s zoonosis control program. In 2010, he was awarded the TVMA Distinguished Career Achievement Award and in 2013 was recognized as an Outstanding Alumnus of Texas A&M University College of Veterinary Medicine. Dr. Wright is a diplomate of the American College of Veterinary Preventive Medicine and its Epidemiology Specialty. In his free time, Dr. Wright enjoys going to the gym, playing racquetball, welding projects and spending time with his wife and grandchildren. Audrey Yu-Speight, DVM, is a graduate of Texas A&M University College of Veterinary Medicine who lives in Austin, Texas. Dr. Yu-Speight is a board-certified diplomate of the American College of Veterinary Ophthalmologists (DACVO) and practices at Veterinary Eye Center, which she founded in Austin. While earning her bachelor of science and master of science degrees at Stanford University, her areas of research included surface chemistry and drug process purification, and she continues to have a special interest in pharmacology and technology. Dr. Yu-Speight has received awards in public service, pharmacology, physiology and nutrition. In her free time she enjoys music and spending time with her family and outdoors.